MUNICH — Defense News caught up with NATO Deputy Secretary General Alexander “Sandy” Vershbow Saturday at the Munich Security Conference to discuss the alliance’s efforts to deter possible Russian aggression against its eastern members and how it balances security priorities. How is NATO balancing its obligation to provide collective defense — in this case bolstering its eastern flank — with refraining from provoking the exact kind of Russian response NATO is looking to deter? First of all, we are quite convinced that all the measures we’ve taken since the 2014 Wales Summit and that we are contemplating as the next step are defensive and well below the threshold that the NATO-Russia Founding Act defines as “substantial combat forces.” Remember, the Founding Act doesn’t say zero combat forces. It also said a lot of things about how you are allowed to have infrastructure to support reinforcements. It was a tradeoff — no substantial forces? Well, you can reinforce. We will have to patiently explain this to the Russians, but I don’t exclude the possibility that they will, as they always do, grossly exaggerate what we do, and maybe use it to justify some countermeasures. 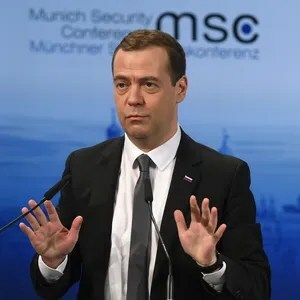 But, we have to achieve a certain level of deterrence, and I think at the end of the day the Russians will recognize that there is no surprise-attack potential, that this is meant to provide just sufficient basis so that they don’t think of either conventional or hybrid attack. What do you think is going on when Russia reacts to your moves the way they do, if it’s clear you aren’t deploying forces capable of staging a surprise attack? Russians … love to accuse the West of double standards, but they are the masters of double standards. They are entitled to a snap exercise. The last one was 88,000 troops, according to what they told the defense attaches in Moscow — by the way they announced 8,500 troops, so they never tell the truth and nothing but the truth. We just have to assume that there will be a lot of rhetoric and a lot of propaganda whatever we do. They don’t like NATO, they’ve made that very clear, but NATO is here to stay, and we will just have to coexist, and it may take time to rebuild a more constructive relationship. There’s a lot of hysteria about Russian military modernization, and I am very curious about what you are concerned about from the perspective of NATO when you see the work they’ve been doing to rebuild their capabilities and on training? We say with great respect to what they’ve done since 2008 that they’ve really carried out some very significant reforms in terms of how they operate and manage their forces and the readiness levels that they’ve raised. Now they are devoting a huge amount of their dwindling state budget to defense equipment — new generations of ballistic missiles, fighter jets, lots of shipbuilding, the submarines … so we watch very carefully. We have to plan accordingly. The things that worry us the most are their anti-access/area-denial [A2/AD] capacity — the Bastion defense system capability that they are building up in the high north in Murmansk, the Kola Peninsula, in Kaliningrad and in the Black Sea, and potentially now in the eastern Mediterranean — as potentially impeding and complicating NATO reinforcements and other NATO operations. We have both strategies and means to counter that but it may require additional investments on NATO’s part. Those are among the things we will be assessing as we design our future force posture. How much of that is being designed with Russia specifically in mind? We don’t consider Russia an adversary but we have to think of real-world scenarios, and so yes we have to consider both the in-place forces, the reinforcements and other enablers in the face of a real and growing Russian capability.‎ But our goal remains deterrence, and we have to take into account the Russian saber-rattling when it comes to nuclear weapons — not necessarily changing our force posture, but making sure that there is no doubt in the Russians’ mind that this idea of using nuclear weapons to “de-escalate a crisis” isn’t going to work. [At the conference] today, there seemed to be two divergent themes on the topic of European security priorities, and they appear to be separated generally by the “old” NATO and the “new” NATO. The former is most concerned about the migrant crisis, while the eastern front is yelling about Russia. How does NATO balance this? It’s not just the migrant crisis but also ISIL and the general meltdown of the neighborhood, as I call it, on the southern flank. This is sometimes seen as a potential source of a split in NATO, but on the one hand its natural that countries will be most riveted by the threat nearest to them, but on the other hand there is a sense that NATO has to deal with all of these things. They are existential threats — nobody is exaggerating the ISIL threat. It’s pretty horrifying as it is and people now are very realistic that the Russian challenge is a long-term one. So we have to do both. I think allies are coming together because NATO is too important to allow it to fall victim to any divisions. Be the first to comment on "NATO Deputy SecGen: Russia’s Anti-Access/Area-Denial Build-Up Is Biggest Worry"